Politicians and activists from 8 EU countries will discuss austerity, xenophobia, the Euro and the environment. With xenophobic and authoritarian forces rising across the EU, economies not yet back to pre-2008 levels, Eurozone ‘exits' becoming more likely and climate catastrophe on the horizon, it’s time to stop what we're doing and rethink. Old stock exchange Marzahn (Alte Börse Marzahn), Zur Alten Börse 59, 12681 Berlin. Directions from Hauptbahnhof: Direct S5/S7 train (Direction Strausberg Nord) to Friedrichsfelde Ost (10 stops). Journey time approximately 35 minutes. See map for walking directions. 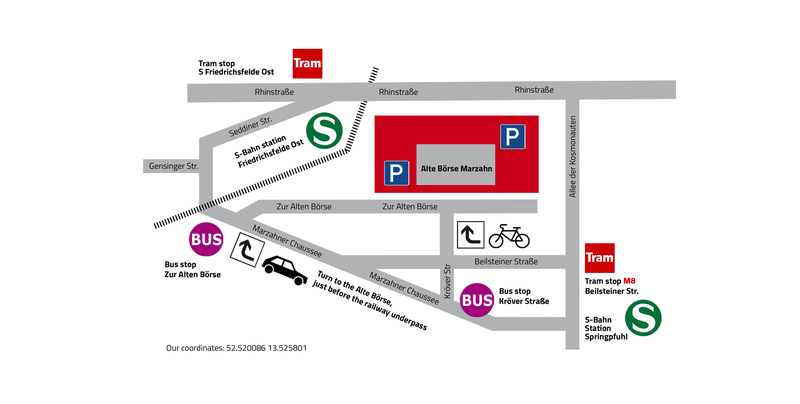 Directions from Alexanderplatz: Direct M8 tram from departure stop Mollstr./Otto-Braun-Str. (Direction Ahrensfelde/Stadtgrenze) to Beilsteiner Str. (14 stops). Journey time approximately 39 minutes. See map for walking directions. By taxi or car the trip from Alexanderplatz is just 15 minutes. Doors open at 19:00; the event starts at 19:30. Buy tickets via the button at the top. There will be a limited number of regular-price tickets sold at the event itself.